Cheeky and I had flown into Salzburg airport, hired a car, then taken a very picturesque, meandering road through Germany and then back into Austria to our destination just next door to Kitzbuhel, in Kirchberg, all in under 1:30 hours! We drove through Kirchberg centre then travelled south for about two kilometres to find the Relais & Chateaux Rosengarten. A very modern building stood before us, with simple clean lines the Rosengarten is the antithesis of modern design, however it still had a warm and welcoming quality to it appearance. We parked up and made our way inside, eager to see the interiors. The lobby, reception and bar area was spacious with some fantastic contemporary design going on, whoever put this together certainly has an eye for style and the aesthetic. Both Cheeky and I immediately relaxed and felt at home having only just entered the building, so it seems the architects and interior designers had succeeded in creating something special here. 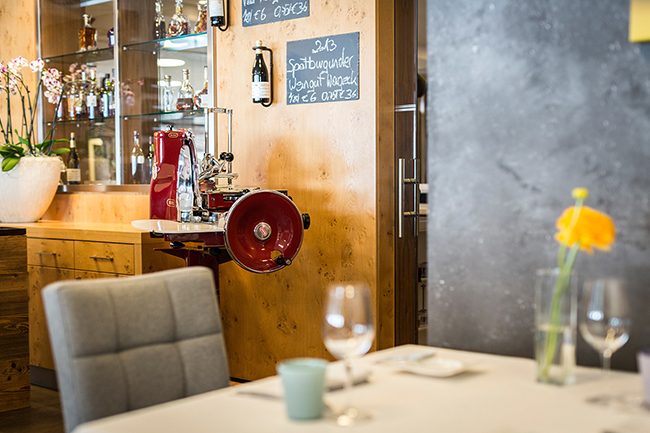 We were immediately served champagne and Apfelstrudel… this is when I realised that we had arrived in the best place in Kirchberg! We were shown to one of the 26 rooms on the top floor and discovered that the rooms were even more stunning. There was so much space, every detail and organisation of the layout had been well considered. The room was open plan with wall to wall windows facing out west towards the Gaisberg mountain, providing fabulous views and fantastic light across the whole room. The bathroom walls were floor to ceiling glass so the light from outside penetrated through to the bathroom, making the whole room seem even larger, whilst the walk in wardrobe was spectacularly large and perfect for the well heeled traveller. The sleeping area could be cordoned off with long tassel curtains which cast awesome shadows at night, whilst the whole space was decorated with smooth modern timbers, leather upholstery and contemporary textiles. This was a room that Cheeky and I would be happy to frequent and unwind in, we have since stolen some of the design ideas for our own use back home. 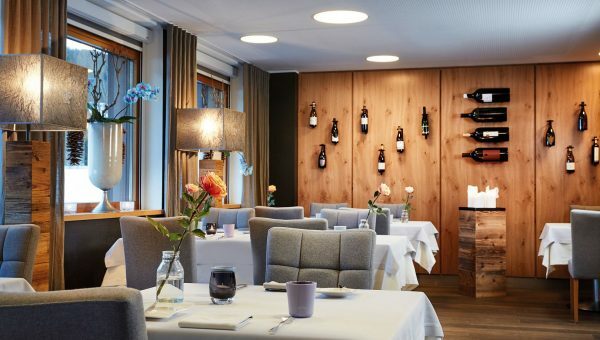 Ten years before the hotel opened Simon Taxacher had been running his gourmet restaurant, so food was on the map way before the Rosengarten hotel. Simon is a member of the Grand Chef Relais & Châteaux and Les Grandes Tables du Monde associations and regularly appears on Austrian TV. 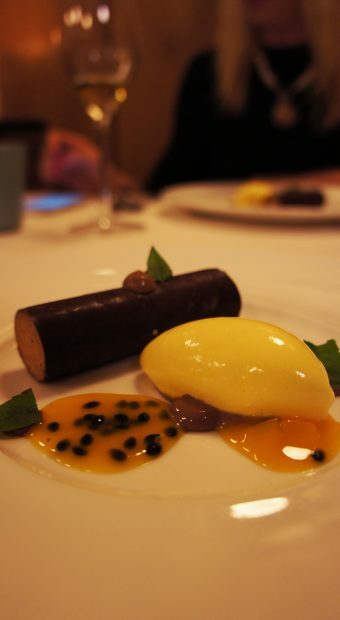 The Gault Millau guide awarded him 4 toques and 19 points; the highest rating possible! 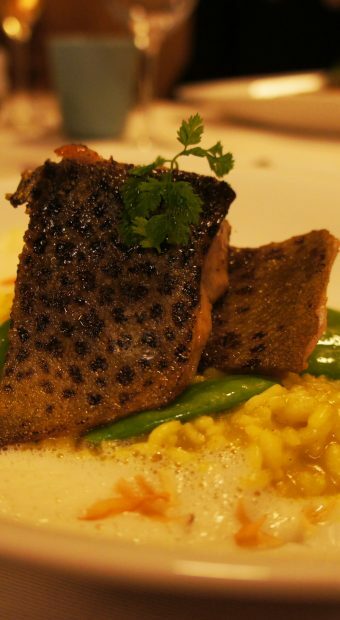 Our waiter informed us that all the food was made using quality produce sourced from Alpine Austria, Italy and France with the menu having a French and Mediterranean edge to it. Over our time at the Rosengarten we experienced such delights as Char with parsley, root ragout and black quinoa, Lake trout with sweet and sour curry risotto with pea pods which had a beautifully fresh, clean flavour and one dish that has since become one of Cheekies favourites, the very homely and classically Alpine cream of Kohlrabi soup with thyme cracker. The Cheese selections were fantastic too, with Alpine produced Austrian, French and Italian cheeses on the trolley all served with a fabulous Fig mustard. 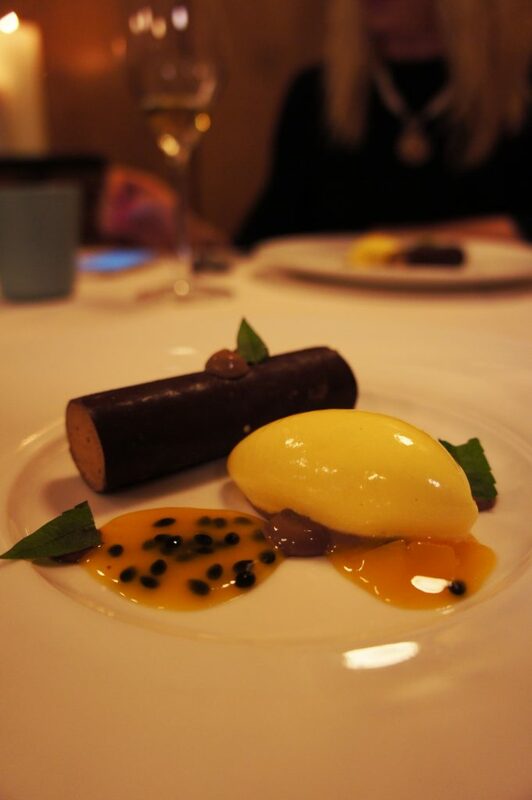 Simon’s desserts were just as stunning with our favourite being the Valrhona Guanaja chocolate parfait served with passionfruit sorbet and exotic fruits. 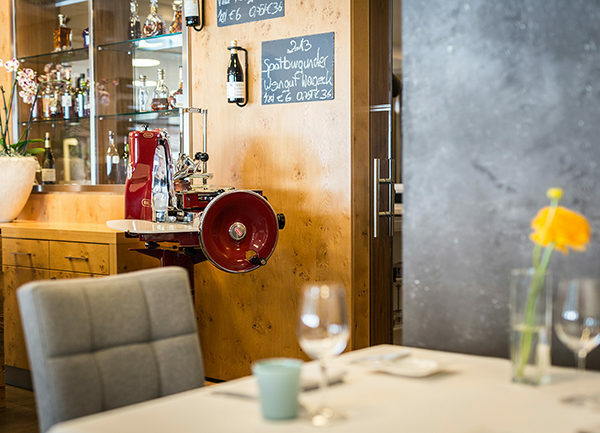 Simon certainly is a wizard at what he does, but he is also happy to divulge some of his secrets at his Gourmet courses that are run on site at the Rosengarten. Sign me up the next time I am in town! The Rosengarten may not be walking distance to a ski lift or in the town centre, but they do run their own minibus that will drive one to the various ski lifts or down to the local town of Kirchberg and pick up as and when requested. However, I quite like where the hotel is located; the area is a little quieter than in town and as a result it has a slightly slower pace of life about it. 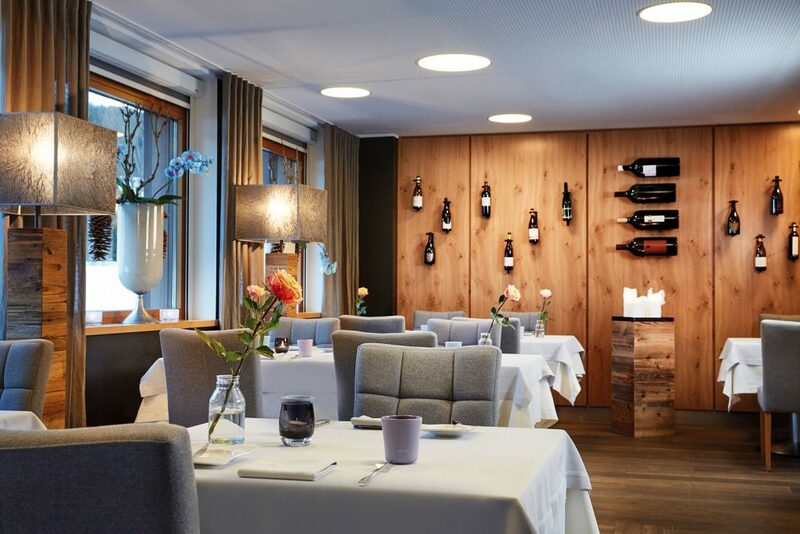 The Rosengarten has a fabulous mix of modern interior design whilst retaining a homely Alpine quality; and the food follows in the same fashion with clean, fresh flavours and inventive, contemporary menus that tip their hat to traditional dishes. 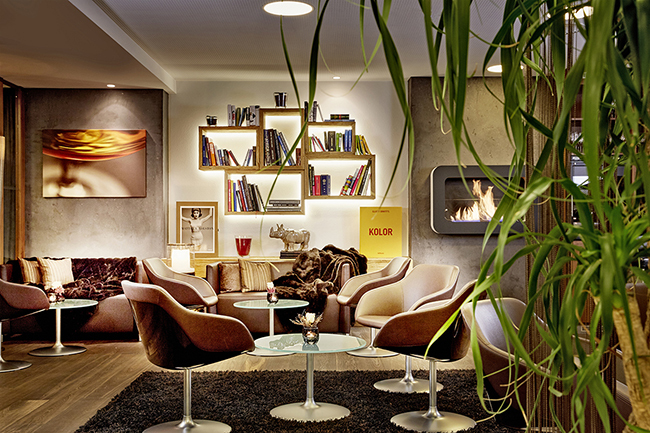 If you are coming to stay in Kirchberg, you will not be disappointed with the experience that awaits you at the Rosengarten.